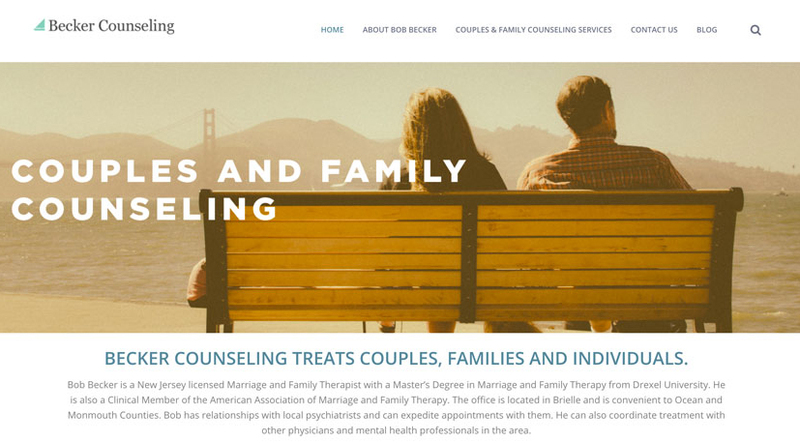 While serving as the Creative Director for Fortune Web Marketing, my team was tasked with redesigning the website for Bob Becker, a family counselor. This was a ground-up process, requiring us to create a WordPress website that was fully responsive. Move the slider to the left to see what the original Becker Counseling website looked like, prior to my team’s redesign. 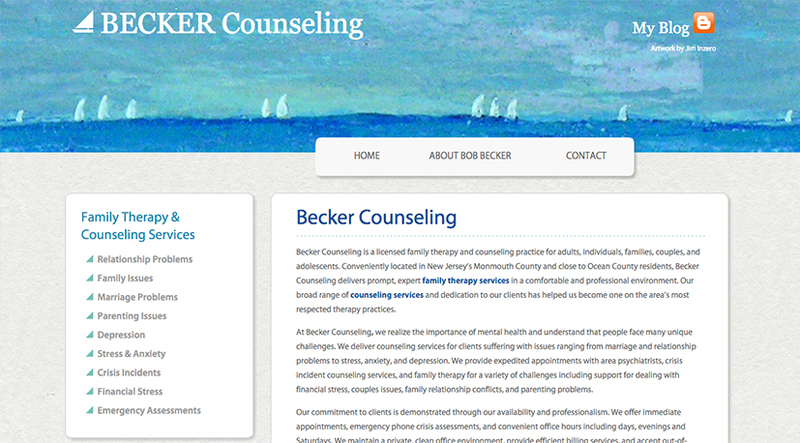 Move the slider to the right to see what the Becker Counseling website looked like after the site was redesigned.